Search Results for "miami people"
Miami people city lifetyle - young urban couple walking holding hands in Miami near South Beach. RED Cinema Camera in SLOW MOTION. Miami-Dade transit bus system in Downtown Miami. people boarding the bus at the Government Center. 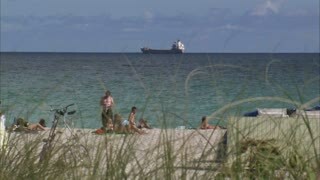 Miami tourists people city lifetyle - young urban couple on travel on South Beach, Miami, Florida RED Cinema Camera in SLOW MOTION. Miami downtown and the Metromover in Miami, Florida. Metromover is a free mass transit automated people mover train system operated by Miami-Dade Transit. Miami, Florida, United States - Circa 1978: seal show in the pool at Seaquarium of Miami with audience people in vintage 70's dress. historical United States archive of America in 1970s. Young businessman portrait using phone walking in Miami. Smiling confident business man walking using cell smartphone front of modern condo building. City lifestyle people in Miami, Florida, USA. South Beach Miami Storm Clouds People. 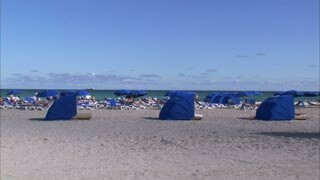 Beach goers at South Beach in Miami Beach, Florida. Dark storms clouds indicate an approaching storm or hurricane.